The last decade or so has seen a resurgence from the Mercedes-Benz brand. Amid the shuffling of brand and model line nomenclature, the most exciting development comes in the form of the Mercedes-Benz EQ all-electric lineup. The Mercedes-Benz EQ models consist of hatchbacks, sedans and crossovers showcasing a younger, differentiated design language and packing the latest in electric vehicle (EV) technology. 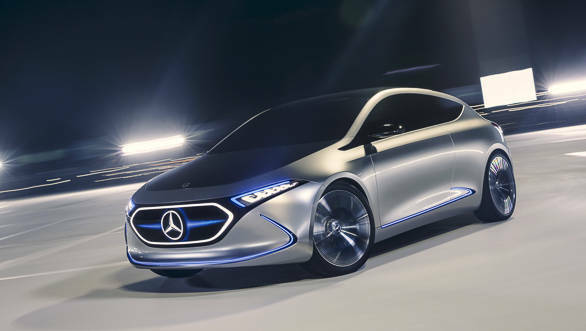 This increased focus on an electric future can be seen in the recent trademark filings by Mercedes' parent company Daimler in Canada for the EQA 200, EQA 250, EQA 260, EQA 300, EQA 320, EQA 350, and EQA 360 names. This in addition to the filings in the US for the EQB 200, EQB 250, EQB 260, EQB 300, EQB 320, EQB 350, and EQB 360. Further, trademark filings were made in 2016 for the EQA, EQC, EQE, EQG, and EQS names in the UK. This is an unnaturally long list of variants for what is essentially the electric equivalent of the A-Class, the EQA. The concept has already been showcased at the Frankfurt Auto Show 2017 and industry pundits have a fair idea of what the road going car will look like. Further adding to the desirability of the Mercedes-Benz EQA is the dual electric motor setup and 200 kW power output. It can also be said with a fair amount of certainty that the EQC, EQE, EQG, and EQS models will mimic their combustion engine counterparts in terms of hierarchy and body style. The EQB model though is an unknown quantity and is likely to be a family friendly hatchback/crossover, larger in size than the EQA. The EQ sub-brand is a classic case of an established car maker now trying to reassert itself in the face of what is probably the biggest disruption ever seen in the car industry worldwide. The shift to electric power is happening faster than expected and the technology itself is taking massive strides very quickly. 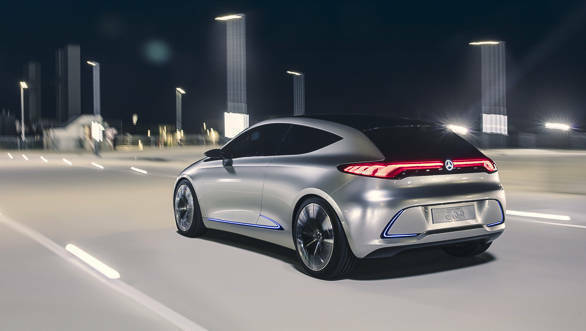 So it isn't surprising that this EQ brand from Mercedes-Benz is setting itself up to jump right in at the thick end of the electric car market and have all its bases covered.